Photo: These orphan girls recently rescued from child labor situations are now safe, and well on their way to recovery at our India girls home. 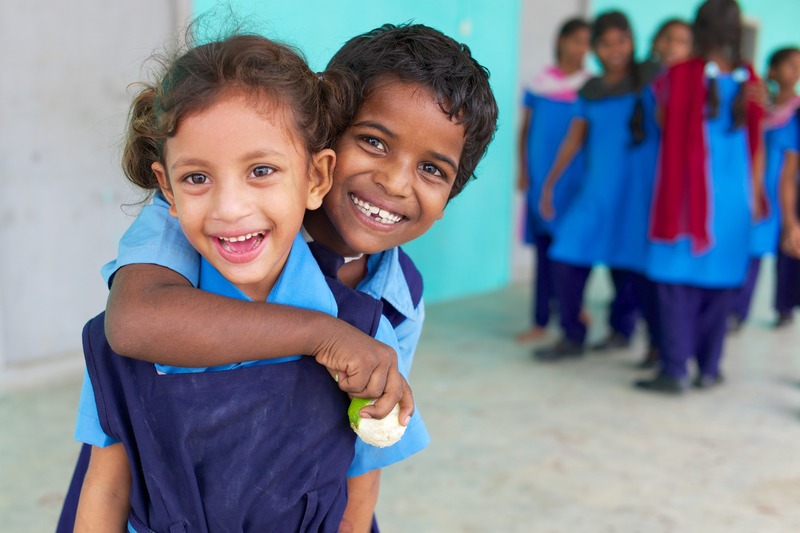 For nearly 20 years now, our India orphan care program has been rescuing orphan girls from human trafficking and child labor situations, rehabilitating them in a safe environment provided by a loving staff, and restoring their future to a bright path ahead with a solid education. In response to increasing reports of abductions and missing girls, we launched a recent campaign to find orphan girls in child labor or bonded servitude situations. Thankfully local authorities were supportive to cooperate with us and we’ve been able to rescue over 30 girls below the age of 12 these past three months. Our native team labeled the program “Save the Girls.” Through a broad networking effort with volunteers and local police, they were able to use the community to help locate more girls in one campaign than ever before. We’ve responded to the increased enrollment by adding more female staff, but we lack adequate staff quarters. Interim quarters are in place but are in no way suited to the long-term needs of our staff. Thus our plan to expand our main building to a third level has been accelerated to accommodate the growing needs of the enrollment which is now up to 59 girls. Construction has begun, and thankfully it’s already approximately 40% complete. The structural support is done. Work on the roof, walls and build-out of interior will commence as soon as the remainder of funds are in place. The program is also meeting another need in one of our areas of focus: empowering widows. It occurred to us that widows in our seamstress business program would make great candidates as staff “dorm mothers” to share their experience in mothering and caring for these girls. It offers the widows a renewed sense of purpose and fills a critical need at the girls home at the same time. Thus we’ve begun hiring some of the widows in our program to help as extra hands in caring for these girls. The staff quarters will be a blessing to them, as most of the widows we work with live in very poor housing in the slums. We’re very pleased with this unexpected side benefit as these two programs overlap in a symbiotic relationship and are excited to see how these two programs benefit mutually from each other.